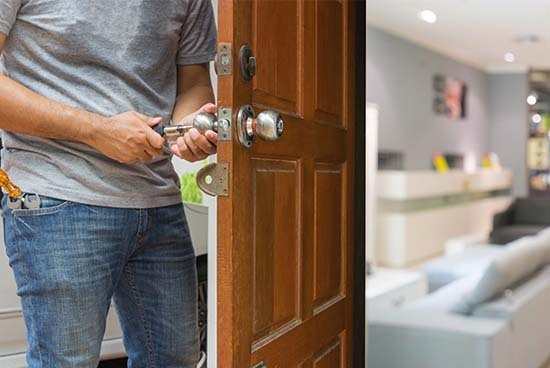 Do You Need a Reliable, Fast Residential Locksmith for Your Locks and Security Needs in Nevada? We are Your Fast, Reliable Residential Locksmith in Reno. It always happens at the wrong time. You break your key in the lock. You forget your passcode. Someone breaks into your place. That is when you realize that your need a residential locksmith. Call (775) 507-7177 right away to resolve your lock-related problem. We will dispatch a technician from our fully licensed shop to your exact location in under 30 minutes to assist you. What Does a Residential Locksmith Do in Reno, Nevada? approach because we will unlock your house without breaking windows or doors. All house lockouts are typically quick to resolve because of an easy unlocking process. .Smart lock installation: Smart lock installation merges automated technology with securing a residence. No traditional lock and key is not involved in securing your residence. Instead the device is designed to lock and unlock when it receives instructions from an authorized device. This is done via wireless protocol. You can secure your duplex, apartment or townhome without using a key or having a lock. .Safe lockout: A traditional safe involves a traditional lock and bolt system. You must use a dial to and number code to open the safe. Many people with a safe are often afraid they won’t be permitted into their safe because this traditional system will keep them from opening the safe. You can a digital lock that also works off a bolting system. It prevents the bolt on the safe from being moved. It also prevents the handle of the safe from being moved too. However, if the owner cannot unlock the safe, it is considered as “safe lockout.” If the safe comes with a key, it may be used to override the bolt mechanism so it can be opened. Any other processes like prying, drilling and sawing a safe open should left to experienced locksmiths. Lost keys? Want quality on-site service? Need a worn out key replaced? Thinking about calling a locksmithing service near me? We are your courteous, proud to be made in the USA and ready to fix your lock-related issue. Call night or day at (775) 507-7177. You may love Reno because it is “the biggest little city in the world.” Whether you are a newcomer to the area or lived here all your life, the small town feel may come as a great surprise. You may love the frontier independence our area has that is second to none. With everything being so great in Reno, you cannot overlook the unexpected. Burglaries, break-ins, vandalism and stealing does happen our city. You have the right to enjoy what Reno and the surrounding cities have to offer while protecting yourself from the criminal activity that can happen anywhere and at any time. Part of a locksmith’s profession is securing a property such as an apartment or townhome. This means assessing your home to determine the best way to security it. Based on the assessment, you are given a variety of options to protect where you live. For instance, your assessment may include a combination of entry locks and security system. The next part of offering an in-depth security consultation is installing that security equipment for you. Are you thinking about installing a security system in your residential property? We are focused on providing you the most detailed, in-depth security consultation based on your security needs. We help you determine the best security system for yourresidential property that meets your needs and budget. Choose from a wide range of electronic security solutions, keys and locks and other security options. We expertly install your security equipment in your residential property. Whether you choose an intercom, high security locks, alarm system or other type of security device. If you need any security replacements or repairs, we will assist in that too. We provide emergency locksmith repairs and replacement too 24 hours, 7 days a week. Our clients are always first priority. Why Choose Our Locksmith Team in Reno? you live in Arrow Creek, downtown Reno or somewhere else. Our competitors are everywhere, but they do not offer the same level of service. At Auto Locksmith, we have highly, skilled and trained locksmiths ready to resolve your security issues. It doesn’t matter if you lost your key or your place was broken into, we are available 24 hours, 7 days a week. Remember, you have a lot of options when securing your place, We are your best choice to provide you and your family a safe residence. We are licensed and bonded. We have the most experienced technicians in Nevada ready to resolve your lock-related needs 24/7. Contact us for assistance with your security needs at (775) 507-7177.